Mobile & Wireless Group (MWg) is a Singapore based start-up company established to develop and market premium, converged mobile devices. 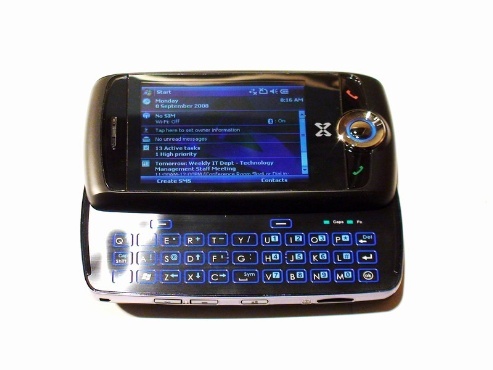 It was Founded by the team responsible for O2’s ground-breaking range of PDA-phones. The MWg Zinc II is the successor to the O2 Xda Zinc launched by MWg. Let's take it for a spin and see how well it performs! Read and view my review on pocketnow.com! The Zinc II with the keyboard pulled out. Note: The review on pocketnow.com describes an FM radio erroneously. This will be corrected today. The advent of integrated thumb keyboards on Windows Mobile devices has meant the demise of compatible portable Bluetooth keyboards. The current class of devices are almost full-fledged computing platforms, however the size of the screen and keyboards limits their full potential. The Celio Corporation identified this need and created the REDFLY Mobile Companion - a combination full QWERTY keyboard and 8" LCD screen. This accessory looks more like an Ultra Mobile Personal Companion (UMPC) than an accessory for a Windows Mobile device. Let's see how well it performs its job as a Mobile Companion to our beloved Windows Mobile devices. Read and view my review on pocketnow.com! The 2.5" screen on the iPod with video does not provide an ideal viewing experience. There is an abundant choice of speaker accessories which enhance the listening experience, but the accessories which enhance the viewing experience are almost non existent. This may be changing with the Altec Lansing inMotion iMV712 Digital Mini-Theater for iPod. Let's take it for a spin and see if it improves our viewing experience. Read my review on pocketnow.com here. Jimmy Buffet video on the island of Saint-Barthelemy (six degrees of separation from my banner!) from his latest iTunes album; Take the weather with you. One of the issues introduced with the Wing, is the lack of a standard headphone/headset 3.5mm jack. 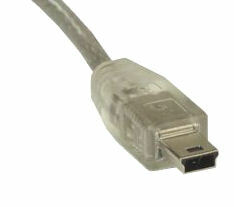 HTC chose to incorporate the audio input/output into the mini USB jack. It is interesting to see how many individuals are reacting negatively to this. Most headphones today use a 3.5mm jack, and the MDA used a non-standard 2.5mm jack. You needed a 2.5mm to 3.5mm adapter for it, so I am not sure what all the complaining is about. Unfortunately we live in a throw away world, where new device means new accessories. The trend for Bluetooth headsets is to miniaturizes them while adding functionality, increasing battery life and improving sound quality. In addition I would like the designs to be less obtrusive and more comfortable to wear. BlueAnt Wireless has recently released the T8 micro Bluetooth headset which follows their successful X3 micro Bluetooth headset we reviewed here. Read on for the full review! One of my goals when I decided to purchase my Sony KDL46XBR2 LCD TV was to be able to use it with Windows Vista Ultimate and I wanted to connect the Sony via a single HDMI cable. As part of my Vista upgrade I purchased an ATI Radeon X1650 Pro 512 AGP card using their trade up program. I traded in a very old card, sold my ATI AIW 9800 on eBay bringing my upgrade cost well below $100. The X1650 was my only real choice since my Intel D865PERL motherboard only has an AGP slot. The X1650 works fine, however I would have liked to have 2 DVI outputs rather than one VGA and one DVI so that I could run both of my Samsung 204B monitors in digital mode. In order to split the DVI output of the X1650 I purchased a Gefen DVI EXT-DVI-144 splitter, one side goes to the Samsung monitor, the other is routed to a Gefen HDMI 4x1 switcher using a Gefen DVI to HDMI cable. This switcher allows me to control output to the Sony between Windows Vista and the Directv HR20 DVR. I will use the additional inputs at some point for an HD and/or Blue-ray DVD player. This allows me to use one HDMI cable to the TV. This setup does not come cheap, but I wanted to have the Sony decode the digital signal to get the best possible picture. I can attest that the picture quality with an HDMI is much better than one using a component connection. I am very pleased with the Gefen splitter, switch, and cables. Their customer support is excellent and I was able to get the equipment at a discounted price from kvmgalore.com. One of the problems that has plagued the VGA world is how the display configures itself to the VGA card's output resolution. If you have ever done presentations using someone else's projector you know what I mean. With DVI and HDMI part of the information that is transmitted to the monitor or projector from the video card is resolution and frequency. I quickly found out that what the Samsung monitor is willing to accept is different than the Sony TV. The native resolution for the Samsung is 1600 x 1200 while the Sony is 1920 x 1080. While it is possible to find a reduced resolution that works on both, it is a big compromise in picture quality. Since I did not need to have both the Samsung and Sony on at the same time I chose to create two profiles using ATI's Catalyst software. One for my desktop two monitor environment and the other for the Sony TV with 1080p HDTV support. (Catalyst 7.4 seems to have an issue with Vista so I am using 7.3). This setup works very well, Media Center is easy to use on and looks great on the Sony, however I am not very impressed with the default Internet based content. I clearly need to play around with it some more but for viewing my Photoshop Elements photo stories and videos it is great. It is a much better solution than the Directv HR20 media device feature which is limited to still photos and music. I can see the power of the media center interface, it is intuitive and flows nicely. All we need is Directv tuner hardware to put into our PCs and we would have a killer environment. Back in 2001 I saw a Directv PC card demoed but it never made it to market, too bad. I have two issues with Bluetooth headsets. The first is that I don't like having something in my ear for long periods of time and second I like to know who is calling before answering. It is easy for me to have the headset in my pocket and pull it out when a calls comes, but I still have to look at my device to see who is calling. BlueAnt Wireless, a company specializing in Bluetooth accessories, has just released a Bluetooth Headset with an LCD that displays caller ID information. Read my review on pocketnow.com to see if it will be your next headset!